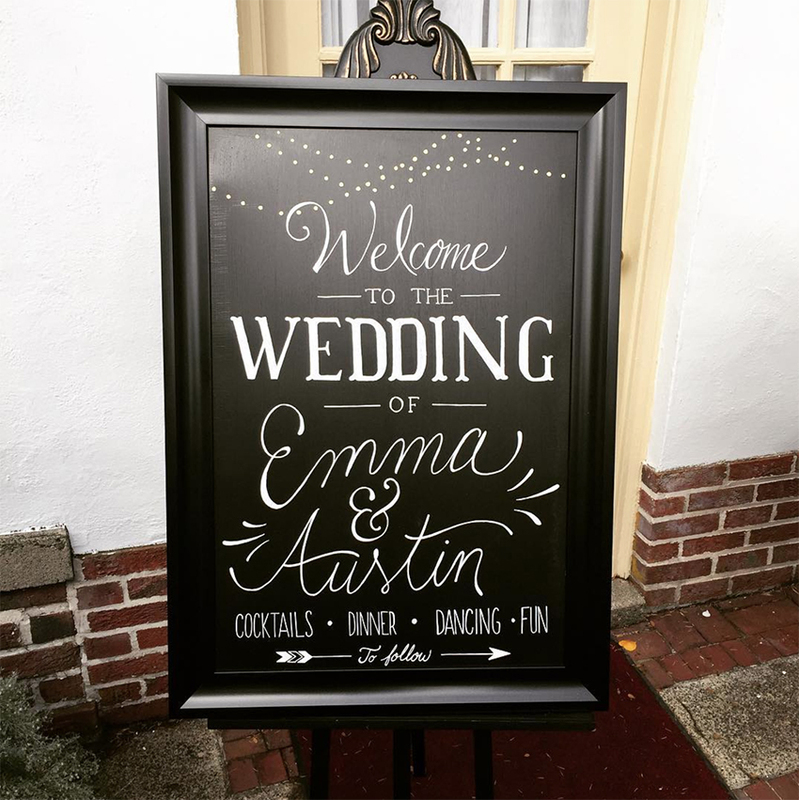 Custom hand-lettering for a wedding at the Lairmont Manor in Bellingham, Washington. Let us letter your wedding signage! Wedding signage really brings the whole guest experience together and communicates the schedule, gift area, dinner menu, send off time and more. Make your wedding even more special and memorable by hiring a professional wedding lettering artist.